OLD PARKED CARS. : 1970 Toyota Land Cruiser. FJ40. I really like the taillights. Sweet, the same house as the dude with the white 710 wagon. 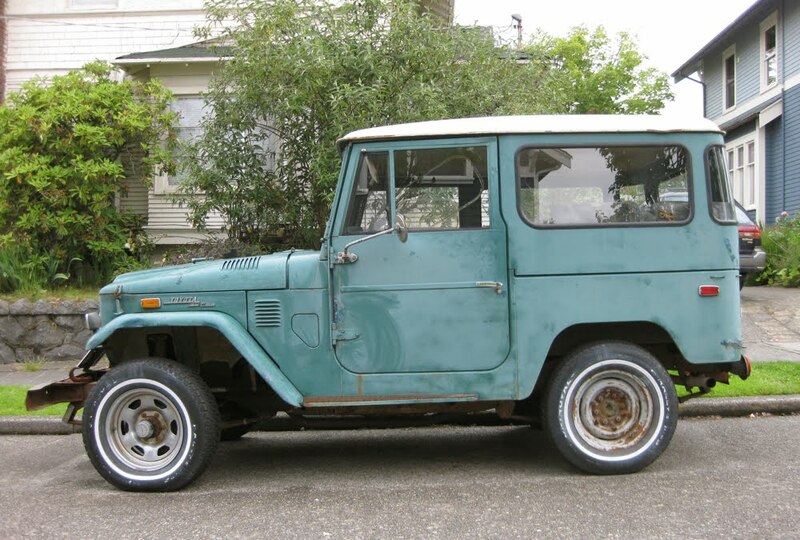 So this is his FJ40, eh? Looks like she's well traveled. Looks like he was doing some landscaping when you took these shots. Exactly right, I knew someone would recognize it. This was one of the best interactions I've had while shooting, the guy had decades of stories and respect for each of these cars. 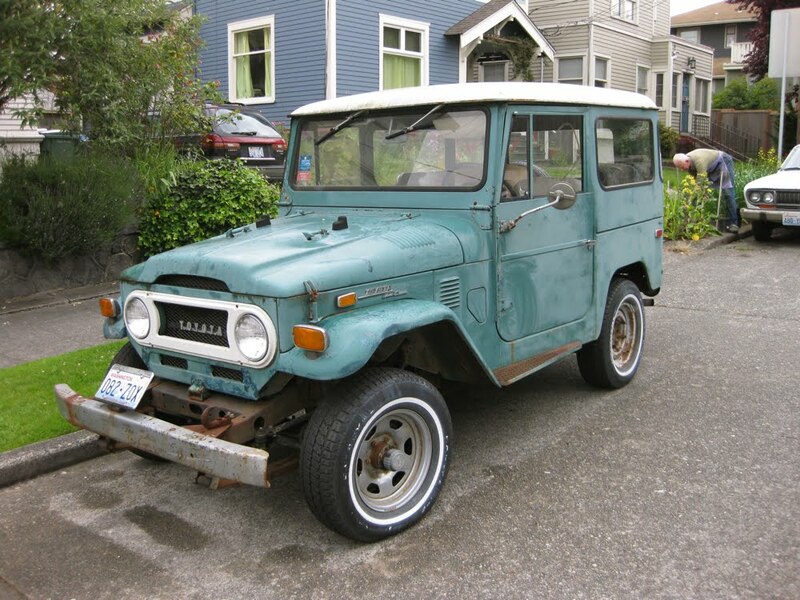 This was the second 710 wagon he'd owned, and he's had the FJ40 since almost new if I remember correctly. He keeps it with the hopes of taking it out on some more serious adventures, but acknowledges that while the vehicle is more than ready, his body probably isn't. Sweet guy, would love to buy him a cup of coffee. Jerry cans! 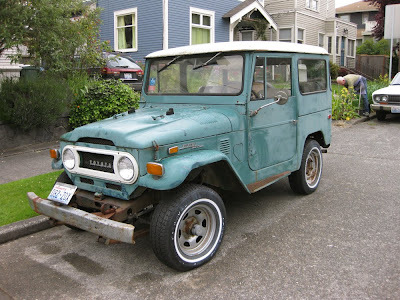 If I can find an eArly enough fj with flip-down windshield and no rollbar, I'll consider it an acceptable Lternative to an army jeeP. Sweet, clearly your first iPhone comment. I'd love to see how modern cars would hold up to 41 years of being out in the elements. 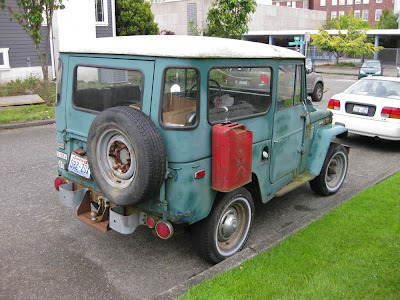 My favorite FJ40 ever, love seeing those original front and rear indicators. Definitely no parts on this car purchased from an FJ restoration site. Definitely looks up for another adventure or two. Maybe not to far on the freeway though.